Bundesliga | Batshuayi, Burgstaller, Philipp or Di Santo - who would be YOUR Schalke/Dortmund dream team striker? Batshuayi, Burgstaller, Philipp or Di Santo - who would be YOUR Schalke/Dortmund dream team striker? 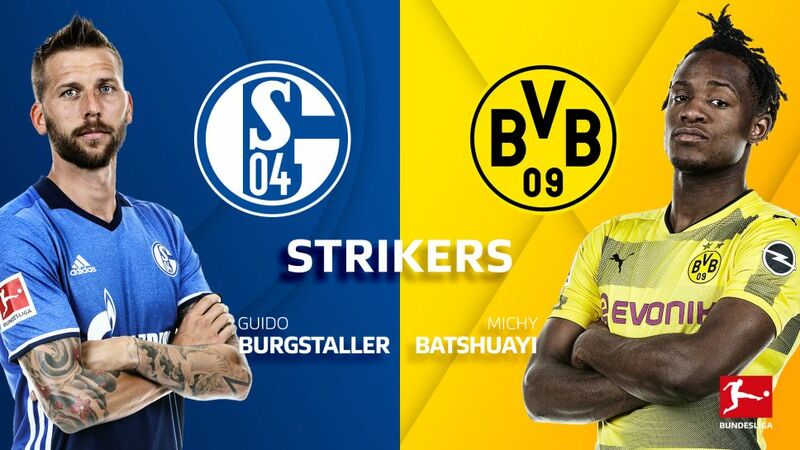 Here are the four candidates for the striker position: Michy Batshuayi, Guido Burgstaller, Franco di Santo and Maximilian Philipp. Cast your votes in the poll below! The Belgium international is the stand-out performer, but with six goals in his first ten Bundesliga appearances since his summer move from Freiburg, Philipp was on course for a bumper 2017/18 tally before a knee injury brutally curtailed his contribution. Di Santo and Burgstaller have scored 13 of Schalke’s 45 goals this season, and their battering ram displays have been part of the bedrock on which the Royal Blues’ push for second place has been founded. Burgstaller, in his first full top-flight season, has struck ten times, and with three goals in his last five league outings, could be the man to help ensure Domenico Tedesco’s men finish with their noses in front of their Ruhr Valley rivals come the season’s end.